Crawford Hunt wants his daughter back. Following the death of his wife four years ago, Crawford, a Texas Ranger, fell into a downward spiral that left him relegated to desk work and with his five-year-old daughter Georgia in the custody of her grandparents. But Crawford has cleaned up his act, met all the court imposed requirements, and now the fate of his family lies with Judge Holly Spencer. Crawford Hunt enters the courthouse in Texas expecting to do nothing more than battle his in-laws for custody of his daughter. 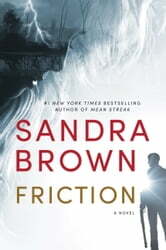 He winds up saving a judge's life in the courtroom ambush and chasing down the suspect, but it leads to even more trouble in Friction by Sandra Brown. Crawford Hunt is a Texas Ranger that has pulled himself out of depression and the bottle and is now determined to regain custody of his daughter. He has relocated from Houston to his in-law's hometown just to be closer to his daughter. Shortly after the shootout in the courthouse, he knows that the guy caught and killed wasn't the shooter. If that's not enough to deal with, his father-in-law is willing to do anything possible to ensure he doesn't regain custody. Needless to say his attraction to Judge Holly Spencer needs to be put on the back burner, but the mutual attraction won't allow him to take the necessary step back. Judge Holly Spencer was appointed to the bench and is currently campaigning to retain her position on the court. The last thing she wants or needs is a relationship . . . especially a relationship with someone that has appeared before her in court. While Crawford and Holly fight their attraction to one another (they lose), they must also contend with an investigation that seems more focused on them than the shooter and his motives. Will they be able to find the truth behind the courthouse shootout before more lives are sacrificed? As most of you know, I enjoy reading mysteries, suspense, suspense thrillers, and romantic-suspense, needless to say, I was quite happy when I obtained a review copy of Ms. Brown's latest romantic-suspense thriller Friction. Once I closeted my inner prude (Crawford and Holly have a brief sexual encounter shortly after the shooting), I was able to fully enjoy Friction. I found this to be a fast-paced and enjoyable read with realistic characters and plausible action. Crawford has to deal with a local police officer that suspects him of most of the criminal activity taking place and ignores all evidence to the contrary. His father-in-law is out for blood and willing to do whatever he can to ensure Crawford doesn't regain custody of his daughter. Crawford has reconnected with his alcoholic father, a father that abandoned him after divorcing his mother. And then there's the Judge. Holly Spencer wants to stay on the bench, but she isn't willing to compromise one man's career, namely Crawford's, to do so. She must battle her campaign manager, the local police detective in charge of the case, and her attraction to a man that should be off limits. Friction is filled with plenty of suspense, family drama, and sexual tension. If you enjoy romantic suspense, then you'll definitely want to add Friction to your TBR list. 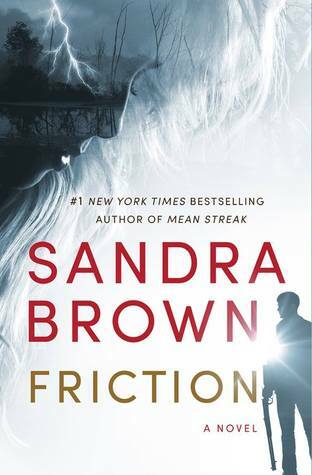 Read an excerpt of Friction here. Disclaimer: I received a copy of this book for review purposes from the publisher via NetGalley. I was not paid, required, or otherwise obligated to write a positive review. The opinions I have expressed are my own. I am disclosing this in accordance with the Federal Trade Commission's 16 CFR, Part 255: "Guides Concerning the Use of Endorsements and Testimonials in Advertising."